As with any major buying decision, it’s important to ask the right questions if you are thinking about investing in timberland. A recent blog post on Land.com lays out a number of good questions to ask as you determine whether such an investment is right for you. What are the advantages of buying timberland? To highlight a few: Timberland investments have acted as a good hedge for inflation over time. Trees grow on a property no matter how the economy is doing. And of course, you can use the property for recreation while the timber grows. How important is timber investment to you in your property purchase? For some rural property buyers, it’s all about the investment. For others, the timber value is simply a bonus on a property that will be used for hunting, hiking, ATVs or other recreation. Do I need to know how the land has been managed? Land management is an important factor to consider, both in how the seller has managed a property up to now, and in how a tract matches up with your plans for future uses and management. Should I know what types of trees are on the property? How does that play into my investment? Some types of trees grow faster than others, and each type of tree carries its own unique value. It’s important to understand the types and ages of trees, along with the soil conditions on a property you are considering. Where can I get help with understanding all this? I’m not an expert in timber investing or land management. A great place to start is with one of the recreational property experts in the PotlatchDeltic Preferred Broker Network. Their job is to understand your needs, and to match up the right property with those needs. They sell recreational properties that have been cared for by PotlatchDeltic, one of the nation’s top timber companies. And they have deep experience and knowledge of timber, both as an investment, and as one facet of a property that you and your family can enjoy for years to come. 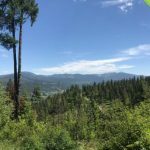 This entry was posted in Uncategorized and tagged #PotlatchDelticLand, forestry, Land.com, timber value, timberland, timberland investment. Bookmark the permalink. ← Climbing your Tree Stand? Be safe!